Easily one of the finest showcases for E.C. 's blues chops in this era. Check out the Freddie King style slur/fills in Rockin' Daddy and cool riffs and arrangements on Do the Do and I Ain't Superstitious! No b.s. just straight blues/rock guitar (that I miss) from one of the masters of this style. What I wouldn't give to hear E.C. play with some of this kind of fire...again. A couple points off for lettin' Ringo in, and not lettin' the absolute genius of Hubert Sumlin shine. 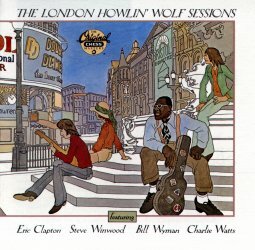 Oh, by the way, Wolf is cool in this less than perfect situation and shows some of his Delta like chops on Little Red Rooster. A keeper!